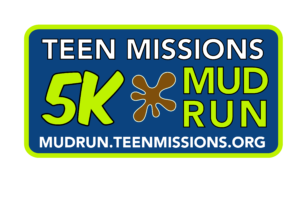 The Teen Missions Mud Run is 5K Mud Run race with over 30 obstacles and lots of mud and water! Almost half of the 5K course is on dirt trails through the woods. It has challenging obstacles that will push you out of your comfort zone and past your limiting beliefs. If there is an obstacle you are unable to complete, you may choose to skip it. However, if you are registered in any of the competitive timed waves, there is a 25 jumping jack penalty for anyone who fails to complete or chooses to skip an obstacle.